David Schneider, M.D., is a board-certified orthopedic surgeon, who specializes in shoulder and elbow surgery. He is a member of the American Shoulder and Elbow surgeons. Dr. Schneider works as a sports medicine specialist, but also considered a regional leader in joint replacement, specifically shoulder and elbow replacement. 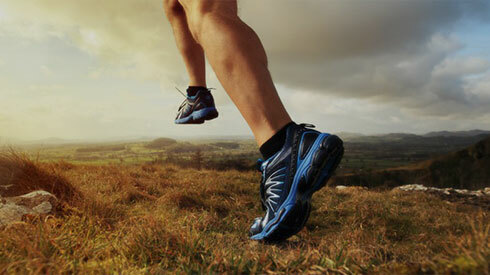 While Dr. Schneider sees many athletes, you do not need to be an athlete to see Dr. Schneider. He treats patients young and old who experience problems with the shoulder or elbow. A graduate of the University of Kansas School of Medicine, Dr. Schneider completed his orthopedic training at Penn State and went on to complete a sports medicine fellowship at the prestigious Kerlan-Jobe Orthopedic Clinic in Los Angeles. Dr. Schneider loves sports and enjoys working with athletes of all ages. He grew up playing basketball, football, baseball and volleyball. Dr. Schneider has served as a team physician for several professional teams, including the Los Angeles Lakers, the Los Angeles Dodgers, the Los Angeles Kings, the Anaheim Ducks, the Los Angeles Galaxy and several others. Today, he is a team physician for USA Rugby, has coached Gold Crown Basketball, and is also a member of the pitching committee for the Colorado High School Athletic Association, where he helps to establish pitching guidelines for the State of Colorado. He continues to work as a medical consultant for the Los Angeles Dodgers and is one of their team doctors when they are visiting Colorado. Dr. Schneider is passionate about research and has received numerous awards for his research. He has been published in numerous prestigious, peer-reviewed journals. 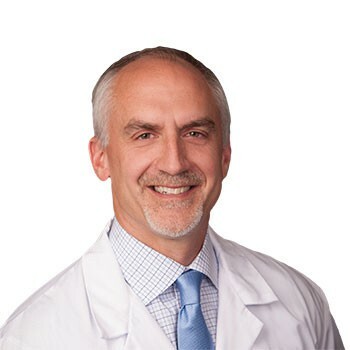 He has been awarded the American Orthopedic Association Travel Award, the Hip Society’s Stinchfield Award, and the Eastern Orthopedic Association Founder’s Award, among others. Dr. Schneider currently holds two U.S. patents and has one patent pending for the work he has done in designing new shoulder implants. He has been involved in implant design for both Biomet and Zimmer. Dr. Schneider also acts as an educational consultant for several sports medicine and shoulder companies including Arthrex and Stryker. He travels regularly to instruct shoulder and elbow courses both nationally and internationally. Dr. Schneider sees a large number of patients with elbow injuries. He is a preeminent expert in “Tommy John” surgery to repair elbow instability in athletes, particularly baseball players. He also performs total elbow replacements on diseased or arthritic elbows. Lastly, Dr. Schneider maintains a unique level of expertise in shoulder surgery. As a regionally sought after expert, he treats common shoulder conditions and performs some of the most complex shoulder surgeries. Some of the more common conditions he treats are rotator cuff tears, shoulder arthritis, shoulder instability or repeat dislocations. Dr. Schneider and his Panorama colleagues perform more total shoulder replacements than any other group in the Rocky Mountain region. Dr. Schneider enjoys the challenge of complex cases and opportunity to help people when other doctors have told them that they cannot be helped. From reverse total shoulder replacements, to tendon transfers, to patients who need complex revision shoulder surgery, or cases where the nerves, muscles or bones are not optimal, Dr. Schneider is specially trained and skilled to address the most complicated shoulder injuries and conditions. Paul Lee, PA, works with Dr. Schneider, both in the clinic and operating room. He was born and raised in Denver, CO. He received his undergraduate degree in integrative physiology at the University of Colorado Boulder, and then went on to receive his physician assistant degree at Nova Southeastern University, Jacksonville. After completing his orthopedic surgery rotation in PA school, Paul knew that orthopedics was the field he wanted to pursue. He is passionate about educating patients, and emphasizing the importance of being active and doing daily stretches/exercises, particularly after an injury or surgery. In his spare time, he enjoys jogging, lifting weights, listening to music, and exploring breweries.